Perform lighting calculations for prismatic rooms. 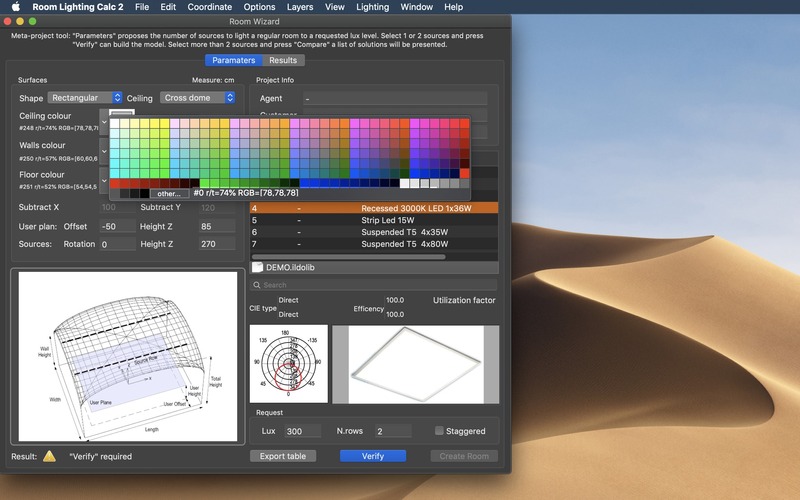 Is there a better alternative to Room Lighting Calc? Is Room Lighting Calc really the best app in Vertical Markets category? 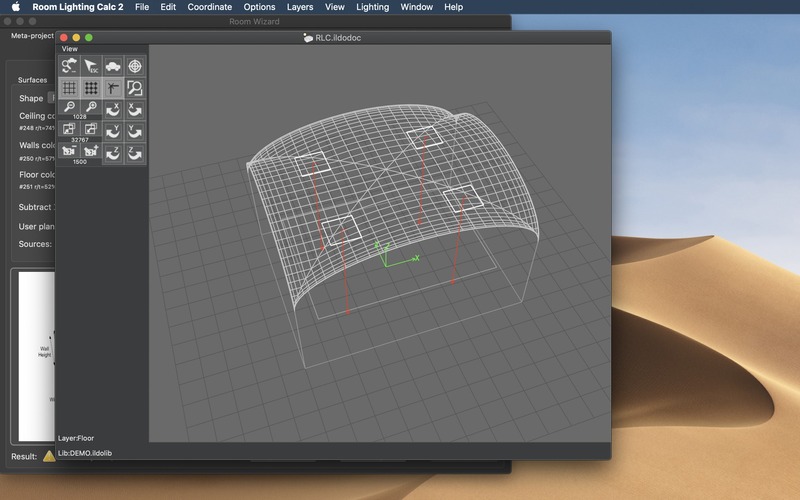 Will Room Lighting Calc work good on macOS 10.13.4? 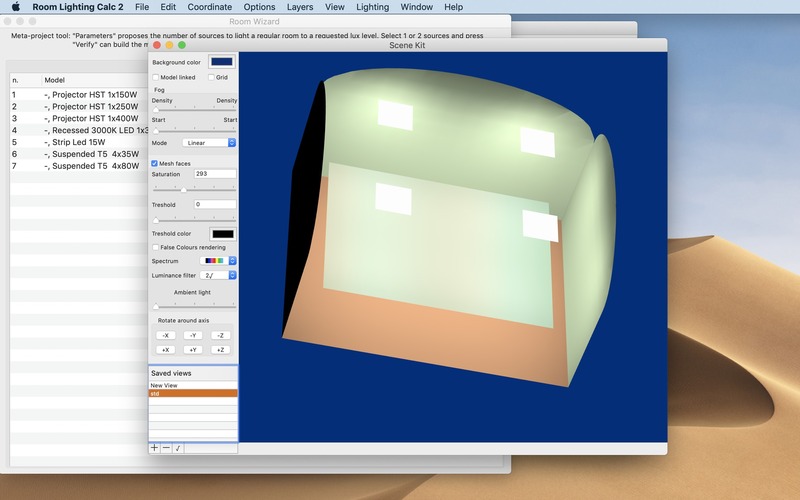 Room Lighting Calc is a native macOS CAD application specialized to perform lighting calculations for prismatic rooms. 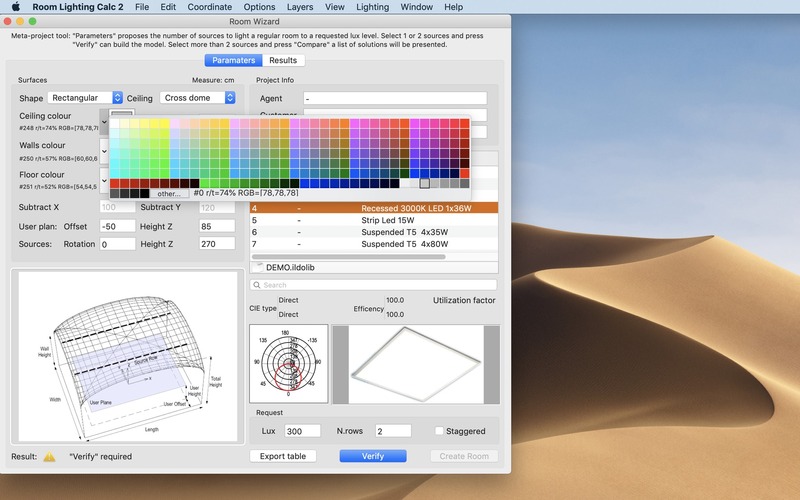 With Room Lighting Calc you don’t need to be a specialist. Fill the form and in few seconds you’ll be able to prepare a professional lighting plan complete with a full personalized report. Room Lighting Calc needs a review. Be the first to review this app and get the discussion started! Room Lighting Calc needs a rating. Be the first to rate this app and get the discussion started! You can obtain fast answers about how much fixtures of a certain type you need to obtain a fixed lighting level in a closed room in few steps. 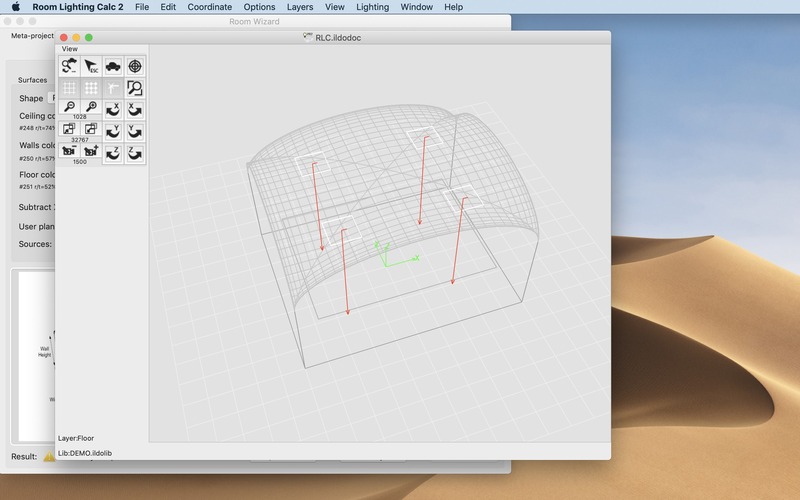 You can compare fixtures and choose the one that permits minimal consumption, and then build the 3D model to light. You can obtain a printable report of your plan with pictures, list of used elements, their characteristic, results and cost of realization. You will be amazed on how easy is to cerate a full light plan. Can export to RTF a complete list, formatted according to user needs, of the installed products and special items. Perform calculation of electrical power and total cost.